If you’ve been alive long enough, you’ve heard your share of “accepted truths,” especially when it comes to towing a trailer. Eventually, if you’re like me, you start to question many of these facts of life. One of my favorites is that you can solve the problem of trailer sway by properly loading your trailer. Sounds legit, right? Heavy stuff in the front. Got it. But if you really stop to think about it, what choice do you have? 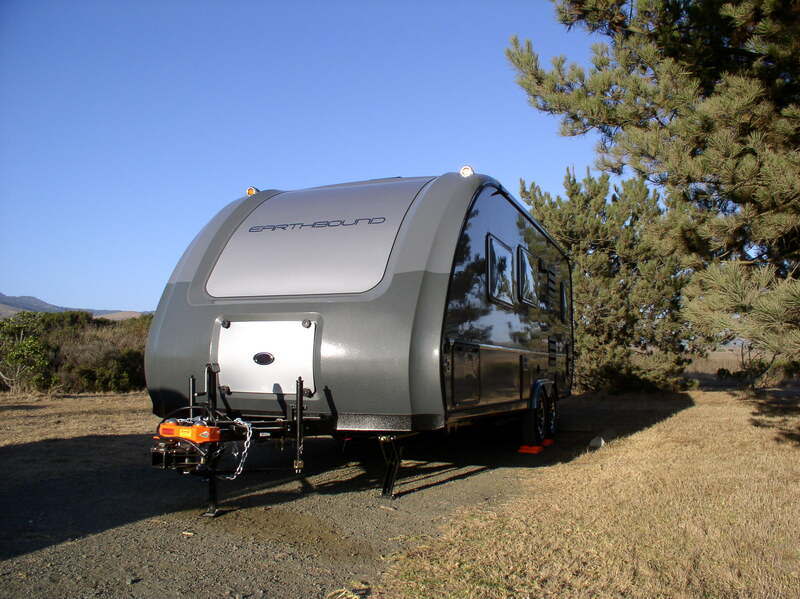 Most trailers have storage compartments, closets, and water tanks that are not portable. The big outside compartment is where the manufacturer put it. Your option is to put stuff in it or not. Sure, we can elect to keep the water tanks empty or full until we reach our destination, but for those of us who’ve experienced bad campground water or an “out of order” sign on the campground water nozzle, we prefer to fill those puppies at home with water we know and trust. Even then, the options are few. You fill (or not) your tanks. Put food in the fridge. Clothes in the closet. Usually you can expect to load a trailer with about 1500 pounds of stuff. And it goes in whatever spot the manufacturer made available. So how do you “properly load” a trailer? Show of hands, how many of you really put much thought into it? Unless you’re on the pro-bowler circuit or collect rocks as you go, it really doesn’t make much of a difference. Fishing poles only fit in so many places. Manufacturers know this, of course. That’s why they place the axles according to the trailer design and expected load. If you have a front kitchen, the axles are closer to the front. Rear kitchen, closer to the rear. You get no say in the matter. And manufacturers always seem to err toward a heavier tongue. Despite this, trailer sway is still the most common problem among lovers of travel trailers. Still the #1 cause of accidents. Still the hottest topic in any towing forum. If you listen to all the free advice floating around out there, you’ll go crazy trying to apply it all and get a sway-free experience. You’ll never get there. Unless, of course, you simply make trailer sway impossible. That’s where Hensley comes in. The Hensley Arrow and Cub don’t use friction like all the other hitches out there. We use physics. Our unique converging linkage system only allows the tow vehicle to initiate the pivot at the hitch. No force applied to the side of the trailer can initiate the pivot. Think of it like any tool that only works in one direction. Wind, semi-trucks, uneven roads, and other side forces cannot cause a trailer to sway if it is equipped with a Hensley Hitch. “Proper loading” won’t help. Give us a call at 1-800-410-6580 and we’ll be happy to answer your questions.